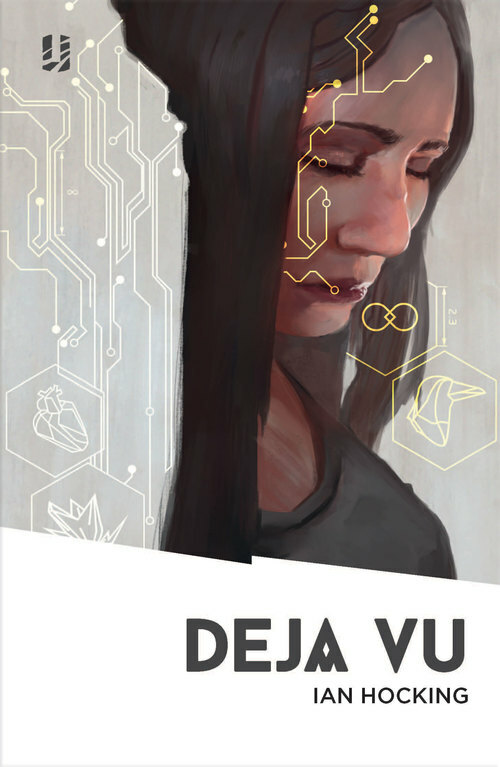 Déjà-Vu is the first of three books published by Unsung Stories. I’m pleased to report that their record remains an impressive 100%, as I loved this one too. Many thanks to George Sandison for my copy, and to Ian Hocking for providing such a compelling and entertaining read. ‘In the year 2023 Saskia Brandt, detective with the European FIB, comes back from holiday newly single and exhausted. She finds her receptionist dead, herself implicated, and she only has 12 hours to clear her name. David Proctor is just an academic eating his breakfast when he discovers his prototype computer – Ego – is now the only one left. The rest have been stolen. Meanwhile someone has broken into his house, someone who wants him to go back to the lab where his wife died 20 years before. Whilst across the seas David’s daughter, Jennifer, finishes work on project Déjà-Vu, an invention that will change the course of human history forever. Something her employer is planning on. We’re in heavy Sci-fi territory, but don’t be afraid, Hocking will be your guide. I know that sounds platitudinous, but I mean it. The author embraces his role of benevolent god, unfolding the plot before you with gentle care, making sure that the technologies he has dreamed up don’t confuse the story. This, I think, is done masterfully. At no point did I feel patronised by having anything over-explained. As a result, Déjà-Vu is incredibly compelling, because as well as hunting for a satisfying conclusion to numerous mysteries, the reader must search for the novel’s meanings and significance, the nature of which remain unclear until late in the novel. Fortunately, the search itself is as satisfying as its reward. That’s due in part to the pacing of the novel. Yes, there is a good deal of action which tears you through the chapters, but I think Hocking’s writing style is the true culprit. As well as revealing himself to be quite a wordsmith – always appealing to me – he is impressively succinct when tackling concepts of no small complexity. As often happens in this genre, the human experience is altered by advances in, and amalgamation with, technology; in Déjà-Vu, this leads to many fascinating, thought-experiment type questions. Hocking manages not to get bogged down in explanation, but allows the characters’ experiences to inform us just enough to feed our own discoveries. Moreover, our imaginations are given a highly enjoyable workout, not only through thinking about how cool it would be to have the computer chip in Saskia’s head which allows her to learn self-defence by just thinking about it (very much reminiscent of Trinity’s learning to fly a helicopter by downloading the knowledge in ‘The Matrix’), but also through empathising with characters who are working out how to feel about things which are as yet unknown to the human experience. There are several very interesting plot strains to the novel. *I know a review’s structure might usually treat them first, but I was so worried about giving too much away that I left them ‘til last. Deal with it. * David Proctor is coerced by forces unknown to him to revisit his past, but it turns out that this isn’t something he is so reluctant to do, and so two lines of interest intertwine. He is later rescued by another unknown party, and his actions begin to feel guided by fate. If you hadn’t guessed it already from the book’s title and its blurb, there is an element of time travel involved. Whether it affects the subject or the plot, I won’t reveal, but I will say that the revelation in the dénouement is powerful enough to change the book from start to finish. By that incredibly vague and poorly crafted sentence, I mean to say that you could read the book again straight away and see one hundred little, and some very major, things with new significance. Most interesting to me was Saskia’s search for identity. Without spoiling too much, she is not herself. In fact, in a way, she is nobody, and in that sense has the freedom to forge her own identity. However, she is under a very strict degree of control – something to do with the computer chip in her brain – which means that her choices are ultimately limited. Further, though we don’t find out how or why until near the end, her actions are in some way inevitable, though she can deviate along certain parameters. Confused? Sorry about that. Making anything clearer might spoil it for you, and believe me, I don’t want that for you, because this is a really interesting and very well-written book. All that’s left now is for you to buy it and enjoy it for yourself!